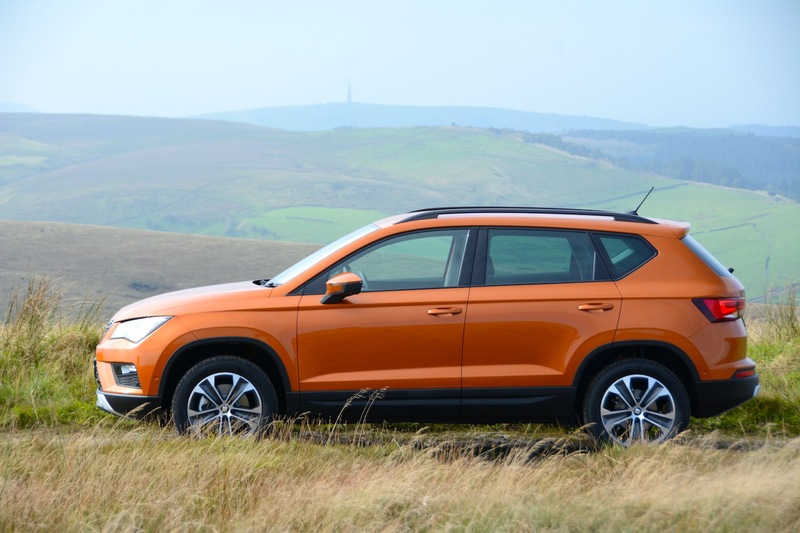 All design is subjective, but if you prefer the look of the Tiguan, is it worth an extra £10,000? After what seems like a long period of preparing the motoring journalism world for the SEAT Ateca, it’s finally here. 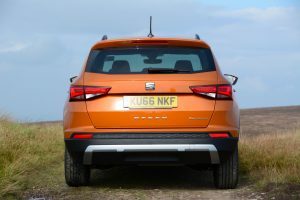 This means that SEAT now expands its range from having just the Ibiza supermini and the Leon hatchback as its main offerings, to also now having a family SUV – in other words the category of car that everyone wants. The SEAT Ateca shares much of its underpinnings with the Volkswagen Tiguan. This means that the basic engineering is essentially tried, tested and sound. As with the Tiguan, there’s a variety of engine, transmission and drive configurations. On the Ateca launch we drove the 1.6 diesel, and we’ve since had a week to sample the petrol 1.4 EcoTSI with a 6-speed manual gearbox, and front-wheel drive. We’d normally reserve this bit until the end of the review, but we’ll lay the cards on the table now. If you’re thinking about buying an Ateca for lots of long distance travel up and down the nation’s motorways, then the diesel model is the best choice for you. However we think that such a usage pattern is unlikely for this car. We imagine that most Atecas will be in service on the suburban school run. For such use, the 1.4 EcoTSI is the better choice, and so we’ll be focusing on this model in this review. It’s also worth noting that there’s a 1-litre petrol engine option. Although there are some good Volkswagen Group cars out there with this engine, based on our experience, unless you’re a real eco-driver, you’re likely to enjoy better real-life economy with the 1.4 EcoTSI, due to an SUV being a big vehicle for a 1-litre engine to pull around. The Ateca is designed in the style of the rest of the SEAT range – both on the angular outside and on the somewhat no-frills inside; whether you like this look or not is a subjective thing. Although SUVs aren’t the most efficient body styles in terms of aerodynamics, what they do offer is lots of space, and the Ateca ticks the boxes here for passengers and luggage. 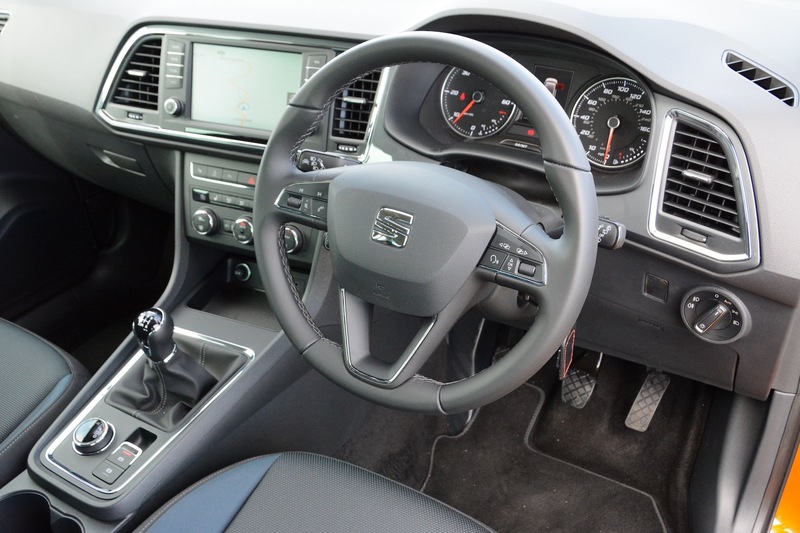 If you’ve read our SEAT Ibiza FR 1.0 EcoTSI review you’ll have seen that we think this car embodies what the SEAT brand should stand for, being light, agile, efficient, sporty, fun and good value. The same can be said about the Ateca 1.4 EcoTSI – but not the diesel, which doesn’t have the same lightness and agility as the 1.4 petrol model. Our 150PS 1.4 EcoTSI Ateca also had a marginally higher top speed than the Volkswagen Tiguan 2.0 TDI that we recently tested: 125 mph v 124 mph. And a faster 0-62mph time: 8.5 seconds v 9.3 seconds. 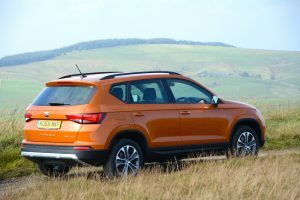 As well as being faster, the Ateca also felt lighter, and there’s a reason for this: according to the data provided by both brands, the Ateca weighs 1359kg compared to the Tiguan’s 1852kg – that’s a difference of almost 500kg between two cars that are based on the same platform, which is amazing. This translates to a more agile driving experience, better performance and better economy for the Ateca. However you still get the benefits of the Volkswagen Group platform, and combined with the 1.4 petrol engine, this results in excellent refinement on motorway journeys. The engine also features cylinder deactivation, so there will be times when the powertrain is at low load and the dashboard tells you that the car is running on just two cylinders in order to save fuel. The chassis is set up to avoid excess body roll in corners. However this means that the suspension is a little on the firm side. This isn’t so much of a problem on smooth roads, but if you do venture off the tarmac and onto bumpy surfaces, the ride isn’t particularly comfortable. We also found the driving position wasn’t ideal; for us, even after lots of adjustment, there’s still too large a gap between the driver’s seat and the steering wheel. There’s a selection of driving modes to choose from, including Eco, Normal and Sport, although there’s not a lot of difference between them. The manual gearbox is fine, and isn’t subject to the hesitancy that can be experienced from the DSG transmission when setting off from standstill. 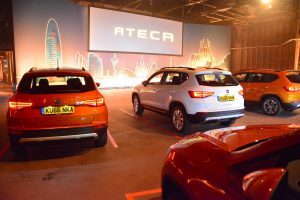 In common with most Ateca models that will be sold in the UK, our test car was front-wheel drive, although you can specify four-wheel drive with the 2-litre TDI (150PS or 190PS). The official NEDC combined fuel economy figure for the Ateca 1.4 EcoTSI is 53.3mpg, equating to CO2 emissions of 122g/km. This makes an interesting comparison to the Volkswagen Tiguan 2.0 TDI that we recently tested. 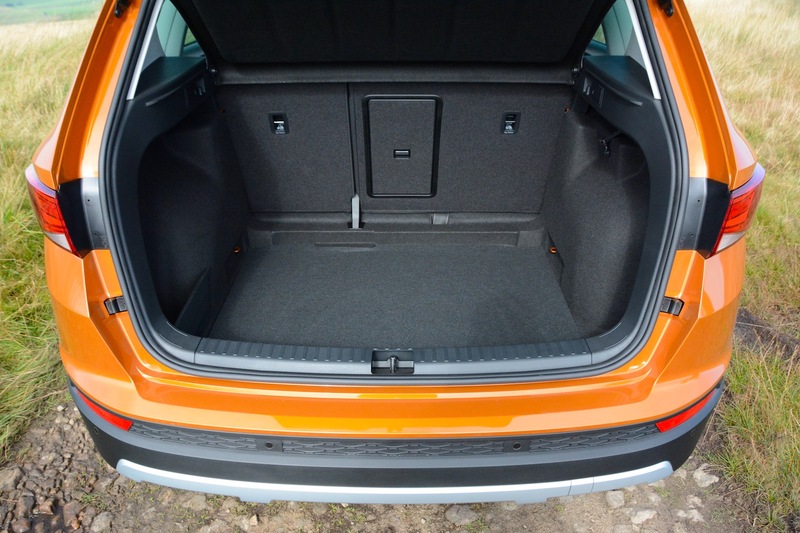 Admittedly the Tiguan had four-wheel drive, but it had an official combined economy figure of 49.6mpg – equating to emissions of 149g/km CO2. This means the petrol Ateca is more economical and has lower CO2 emissions – and of course it is cleaner in terms of Nox and particulate emissions that impact on local air quality. Over a week of mixed real-life driving in the Ateca we averaged 36.3mpg. As usual, this is well short of the official economy figure. It’s worth remembering that if you want an efficient car, a boxy SUV with poor aerodynamics isn’t the best choice, especially on long motorway runs that are typical of our driving. The Volkswagen Tiguan SEL 2.0 TDI SCR 4MOTION 150 PS 7-speed DSG that we recently tested cost £32,810. 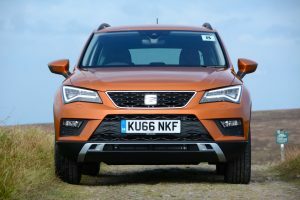 The SEAT Ateca SE 1.4 EcoTSI 150 PS 6-speed manual costs £21,015. Okay, so the Volkswagen has a higher spec, a diesel engine, four-wheel drive and a DSG transmission, but this just shows how you can end up saving £10,000 compared to a car that is very similar under the skin. 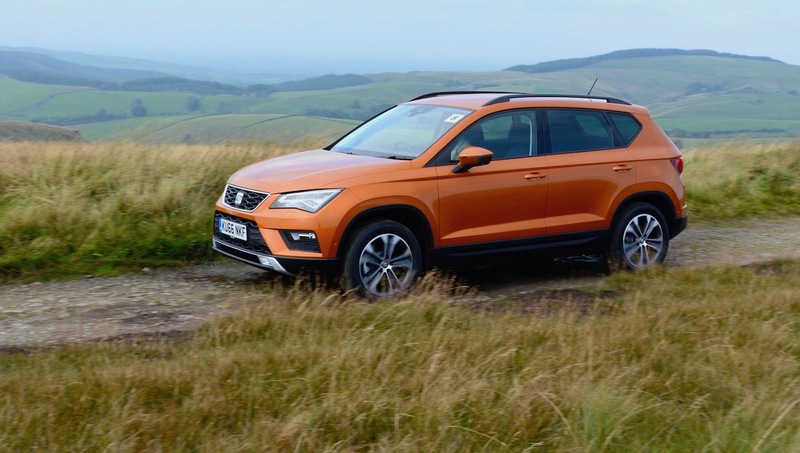 Our Ateca had a number of options including metallic paint and satnav; all options took the cost for our test car to £25,970. The range of powertrains for the Ateca includes the 1.0 TSI Ecomotive 115PS, 1.4 EcoTSI 150PS, 1.6 TDI Ecomotive 115PS, 2.0 TDI 4Drive 150PS, and 2.0 TDI DSG-auto 4Drive 190PS. 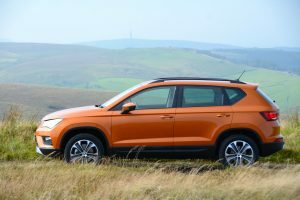 The SEAT Ateca offers much of what the Volkswagen Tiguan offers, for a lot less cost. Of course you can choose a high spec version of the Ateca, and the price differential between it and the Tiguan reduces. 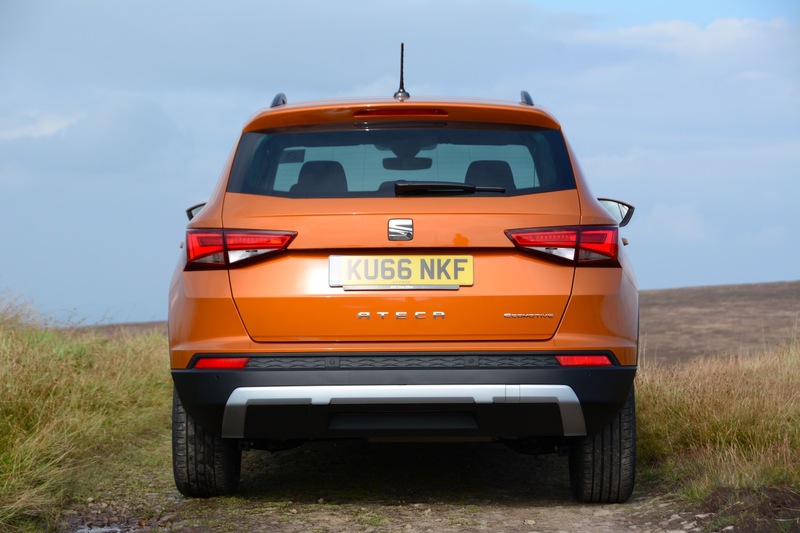 But our belief is that SEAT is best when its cars are light, agile, efficient, sporty, fun and good value. Which is exactly what the SEAT Ateca SE 1.4 EcoTSI is. So for the Ateca’s most likely duty cycle – such as the school run and local shopping trips – we’d go for this engine over either of the two diesels. It results in the Ateca being better to drive, similar in real-life economy, lower in emissions that impact on local air quality, and cheaper. So it probably boils down to whether you like the Ateca’s design, or whether you want to pay extra for the Tiguan’s styling – or whether you instead prefer the look of a Nissan Qashqai, a Mazda, or one of the many other rivals in this segment. 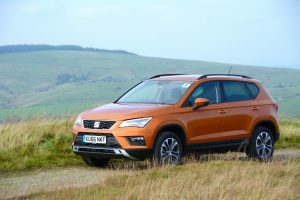 But the SEAT Ateca remains an affordable and competent all-rounder, and it gains a Green Car Guide rating of 8 out of 10.